Tutti i riquadri vengono generati tramite mkgmap usando le informazioni della mappa estratti dal sito openstreetmap.org & Contributors. I dati presi da OpenStreetMap possono essere usati liberamente sotto i termini di licenza https://creativecommons.org/licenses/by-sa/2.0/ Potete usare e modificare la mappa visitando il sito openstreetmap.org. Tutti i dati della mappa vengono pubblicati tramite CCBYSA 2.0 da openstreetmap.org and Constributors. Ringrazio Geofabrik che mi fornisce le istantanee del database che utilizzo per creare le mappe. See installer or copyrights.txt if extracting the .exe installer. LIDAR data from open government data and other openly available sources - collected and converted to hgt format by Sonny This data is very very high quality and resolution - there is no better open data available according to my knowledge. For Linux/Unix users there is also a script to unpack the maps, and automatically create a gmapsupp: https://github.com/btittelbach/openmtbmap_openvelomap_linux After unpacking you find instructions for Qlandkarte / Linux use in a .txt file (informations... .txt). Installare le Openmtbmap su Mapsource: tutorials/install/ spiegazione su come usare install*.bat. Per un uso più generico installare tramite il file eseguibile .exe. In Alternativa: usare create_mapsource_installationfiles.bat per creare nuovi file di installazione. Io consiglio sempre di mandare le mappe ad una memoria esterna e non alla memoria interna del GPS. (In questo modo se qualcosa va male, o le mappe si danneggiano, si corre meno il pericolo di danneggiare il proprio GPS). Alternativa: Usare create_gmapsupp.img.bat e mettere il nuovo file creato gmapsupp.img dentro la cartella /garmin del proprio GPS. La ricerca degli indirizzi non viene inclusa in questo modo. On installation you can choose the layout of the maps. Traditional layout is for Qlandkarte GT, Mapsource and Basecamp and offers a good layout and design for big screens. On the GPS thin, classic and wide or easy or hiking offer high contrast for best orientation while riding your bike or hiking. In order to change the layout - simply run openmtbmap_country_change_layout.exe (this is also linked in your Start --> Programs Folder for each map). This also enables you to quickly change the layout before sending maps to your GPS device, and then quickly change it back for better planning on your desktop. You can adapt the .TYP-files, which are responsible for the layout - and therefore the map colours, to your liking by using http://www.maptk.dnsalias.com/. Do not use http://ati.land.cz/gps/typdecomp/editor.cgi because it is not fully compatible and may corrupt the .TYP-file. 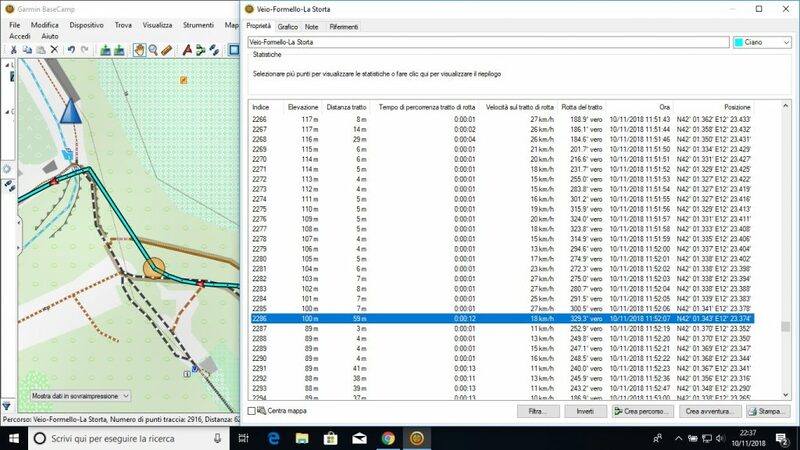 - Se l'invio delle mappe al GPS tramite Mapsource non va a buon fine, lanciare unregister_or_reregister_address_search.bat per annullare la registrazione dell'indice di ricerca degli indirizzi da Mapsource. - La ricerca indirizzi è ottimizzata, in questo momento (13.2.2010), più o meno al 90% rispetto a come si potrebbe lavorare con i dati contenuti in OSM. La maggior parte dei problemi è dovuta all'inconsistenza della struttura degli indirizzi nei dati OSM. - L'Autorouting necessita di attributi come tracktype, bicycle routes, mtb:scale, sac_scale, mtb routes e altri per funzionare bene. Quindi prestate attenzione e inserite questi dettagli in OSM. (non tutti sono necessari, ma sono abbastanza per me per cercare di capire quando una strada è ciclabile per le bici o per le mtb o no). Selezionate/Abilitate solo: "quasi incrocio" , "Intersezione senza congiunzione" così come "overlapping ways". Questo vi aiuterà a identificare velocemente gli errori. Potrete così seguire il collegamento a Potlatch (è integrato anche JOSM per gli utenti JOSM) e correggere velocemente il problema! Fate attenzione a non connettere strade che non siano realmente connesse in realtà (p.e. una strada che ne incrocia un altra su un ponte, in questo caso la soluzione giusta è proprio nessun nodi di congiunzione) - Se usate Windows 2000 potreste aver bisogno di installare l'aggiornamento : Reg cmd at Microsoft. I comandi batches non erano compatibili nelle vecchie versioni di Windows. - Da notare che a volte manca il mare. Questo non è un problema, ma attualmente non è possibile fare diversamente. E' un problema comune nei dati OSM. If you install an openmtbmap and a VeloMap of the same country with both times integrated contourlines, you should only send the contourlines once (meaning with either Openmtmbap or Velomap of the country).. Else you GPS might not show the maps, or worse not even start until maps are deleted. There are several possibilities. a) Install both maps without contourlines and contourlines separately (install separate contourlines only map option in installer). You have not trouble. b) Use the create_gmapsupp... .bat batchfiles and for one map select no contourlines. c) be careful here: Select the map as usual in Basecamp/Mapsource or Qlandkarte GT, then go to the list of the selected tiles ready to be sent to the GPS, scroll down to the bottom, and unselect the contourlines only tiles from the list. Se volete essere avvisati tramite email degli aggiornamenti alla mappa andate nell'home page ed inserite la vostra email nel campo di sottoscrizione nella barra a sinistra. Riceverete solo un email quando ci saranno modifiche sostanziali alla mappa più che semplici aggiornamenti dei dati. Gli aggiornamenti alla mappa vengono fatti normalmente tutti i giovedì notte/venerdì mattina. Potete dare un'occhiata al server per vedere la data di caricamento della mappa. Per aggiornare le mappe, lanciate semplicemente il nuovo file .exe scaricato. Potete scompattare il file .exe con 7-zip , ( Gli utenti Linux possono usare p7zip-full --> vedere qui per maggiori dettagli y https://github.com/btittelbach/openmtbmap_openvelomap_linux), After unpacking you find instructions for Qlandkarte / Linux use in a .txt file (informations... .txt). To see the last update time - just look at the MD5 file. Most countries, especially the popular ones, have the contourlines already integrated. However for several countries the contourlines are rather large (rule of thumb if contourlines have more data than the maps) and I integrate them, but you need to download them separately (once). The installer will ask for the contourlines file as soon as you activate the checkbox to integrate the contourlines in the installer. You do not need to extract the contourlines - this will be done by the installer (and is only needed once. On updates you don't need to redo it). In general it is fine to only update the map, as I try to change the contourlines as seldom as possible. Note2: The contourlines are identical for openmtbmap/velomap and unicode or non unicode. You only need to download them once. On updates it's enough to re-download and reinstall the map installer. Note3:Here only those countries are listed - where the standard download is Unicode. If you don't find a country here - look at the standard downloads. Note4: Sri-Lanka, Nepal and Cambodia are in latin1 - so the local language maps are not very useful. There is no ANSI Codepage available (besides Unicode) that would support the script/garmin units. Israel-Palestine map is in hebrew (so the Palestine area is not useful). Afghanistan codepage is for Dari - Pashto is not supported outside of Unicode. obwohl meine Abo kürzlich bezahlt habe, kann ich auf window keine windows premium karten downloaden. Es heisst, meine Mitgliedschaft sei abgelaufen. Hallo Dominic – du hast leider statt hier zu verlängern auf VeloMap einen neuen Account angelegt. Ich hab dir hier mal für 1 Jahr verlängert – aber dass geht nicht automatisch – da ich die datenbanken nicht abgleichen kann in dem Punkt – und ich kann die Subscription Daten hier im folgejahr auch nicht empfangen. Am besten wäre evtl ich lösche hier deinen Account – und die lädst die OpenMTBMaps via velomap.org herunter. Ich habe nun alles gefunden und natürlich auch den “Mitgliedsjahresbeitrag” eingezahlt. Ich glaube das von Anfang an das Montana ein Problem hatte den jetzt gehts auf einmal. Recht herzlichen Dank für den Suport und liebe Grüße aus den Bergen. Aber ich finde kein Europakarte ohne Unicode. Wo finde ich die bei euch ??? Indem du oben auf den Non Unicode/Nicht Unicode Tab klickst – alle Karten die Standard Unicode sind (etwa Griechenland wegen kyrillisch) gibt es auch in Non Unicode Version!. There has been no update of the maps this weekend. When are you updating the maps again for Australia? Should arrive in 12-14 hours – I had some problems updating the Europe Map and before problems accessing the server – plus adding new things which will be online soon – therefore the update comes late (I do consider to move Updates to every 10 days or 14 days only however – not sure but it takes already 3 days for one full set of updates excluding europe continent map). Ja aber da hat es leider auch nicht funktioniert. Was heißt es funktioniert nicht? Wenn du Fehlermeldung bezgülich nicht authorisierten Karten bekommst – dann ist es Unicode Karte – diese am Gerät/PC löschen – neu installieren – neu senden. Wenn Karte in der Kartenliste auftaucht – aber kein Karteninhalt – dann liegt es an MapInstall 4.2.0 (überprüfe ob die gmapsupp.img korrekte Größe hat) – bzw musst du beim senden unbedingt per Drag selektieren – nie per Klick. Dann kann das ja mit Europa auch nicht zutreffen. schon mal in Griechenland oder Russland gewesen? Ich habe eine Frage bzüglich deiner Nicht Unikaten die ich angeblich für mein Montana 680 benötige : Wie sind die gekennzeichnet oder wo finde ich die ?? Vielleicht liegt es ja daran das ich keine deiner Karten im Garmin ansehen kann. Habe jetzt auf jeden Fall das Basecamp und Mapsorce downgegradet und es funktioniert trozdem mit keiner Masnahme. “Nicht Unicode” bzw “Non Unicode” – du benötigst sie immer wenn hinter dem Land was du Downloaden möchtest “Unicode” steht – und dass betrifft nur Länder/Kontinente wo eben Latein nicht die einzige offizielle Schriftart ist. Alternative ist gehackte Firmware am Montana. Zu finden im “Non Unicode / Nicht Unicode” Tab auf der Downloadseite. 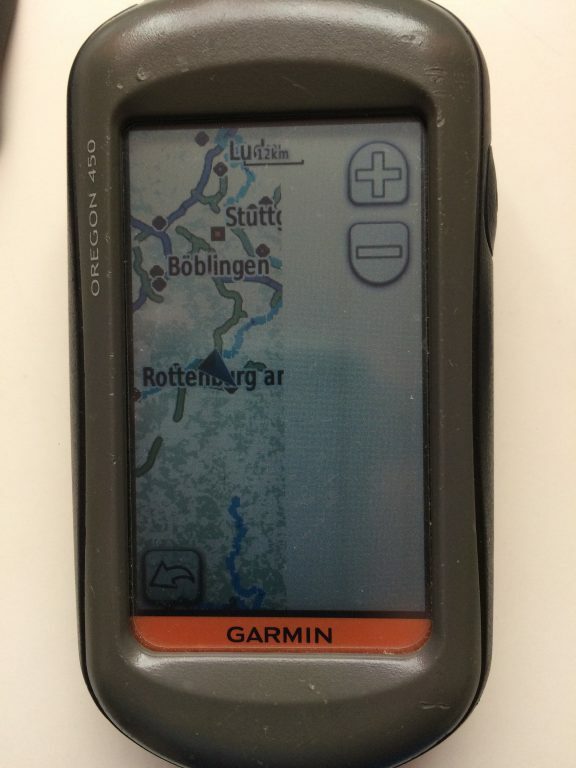 Habe heute die Alps Map vom 8.1.2019 auf mein Base Camp geladen, die Karte auf den micro chip geladen und in mein Garmin 64st gesteckt, wie immer. Nur kann mein Gerät die Karten nicht mehr erkennen. Hi, gibt es eine Möglichkeit schon bei der Installation der Europakarte auf dem PC – und nicht erst beim Übertragen auf das GPS – einen Kartenbereich auszuwählen? Ich finde die Auswahl per Mapinstall sehr fehlerträchtig und es ist auch problematisch, wenn man in Basecamp Kartenbereiche sieht und dann vor Ort feststellt, dass diese gar nicht auf dem GPS gelandet sind. Ideal wäre wenn man ein Polygon (oder auch nur ein Rechteck) zur Kachelauswahl schon bei der Installation mitgeben könnte. Nein das geht nicht – du könntest aber Mapsource zum senden verwenden – da hast du viel bessere Übersicht (allerdings max 4GB pro Karte die du sendest). Das ist schade – nimm es als “feature-request”. Ich fände eine solche Funktion sehr praktisch. Vielen Dank für die Erläuterung. Ich wusste nicht das schon für die Erstellung des Installers Garmin Tools genutzt werden müssen. Wenn ich also eine eigene Karte – z.B. für BEL/NDL/LUX analog zur Alpenkarte mtbalps.exe eine mtbbenelux.exe erstellen will muss ich also die ganze Toolchain zum Rendern eine Karte selbst auf dem Rechner installieren? Ich habe zwar bisher auf Openstreetmap schon mal selbst Wege nachgetragen oder korrigiert, aber mit dem Prozess des Renderns habe ich mich bisher noch nicht beschäftigt. Hallo Matthias – ja korrekt. Und du bräuchtest dafür einen Style, typ-file usw. Da gehört recht viel dazu. Aber du kannst ja aus der Europakarte den Ausschnitt senden den du brauchst – es macht keinen Sinn da zig extra Zusammenstellungen anzubieten. Da dies eine MTB Karte ist – machen die Alpen sehr viel Sinn. Andere Zusammenstellungen sind doch deutlich schwieriger eingrenzbar bzw für weniger Leute nützlich. now I saw that the Alps map has been updated on 08/01/2019 (most of the other have not yet). I downloaded and installed Alps and it seems to work fine. But I see that the Uninstall software (traditionally named OpenMTBMap_alps_uninstall.exe (116 KB) now is called OpenMTBMap_alps_uninstall.exe.nsis (63.6 KB) that is an extension unreachable by my Windows 10. As for the other maps – grr, the server rebooted I don’t know why. I just restarted the updates (the problem before was that I could not login to the server – as I had a problem with my laptop and could not access the security key – so could not login to the server that compiles the maps while traveling last week). Hi Felix. Unveiled the mystery. If you launch the compatted file .exe (i.e. mtbalps.exe) all the files are correctly installed, OpenMTBMap_alps_uninstall.exe too. But if you just un7zip mtbalps.exe into a folder the uninstaller becomes OpenMTBMap_alps_uninstall.exe.nsis. Why I do this? Because I don’t like the name assigned to the map using the first method so I use the second way and then by MapSetToolKit I can assign the name I like to the map in Basecamp. well – if you just unextract that should be no mistery that you cannot uninstall. You could however install – and then just later change the name with mapset toolkit – then you can uninstall with the uninstaller. Thank you Felix. I too found this way yesterday; it is simple,elegant and works very fine. ah a quick way to remove a map otherwise is to use “mapset toolkit” – remove the map using it, then delete the folder (do not delete the folder without removing the map using a 3rd party tool, or directly from windows registry – else Basecamp may show errors – and certainly if you use it Mapsource will not start). One more….in some cases (such as Bhutan) I cannot find the contour lines (under the contourlines tap), or am I looking in the wrong area/tap? Thanks! Hi nrseife, Many maps have the contourlines already integrated – only those where it makes up a substantial amount of the map size – have the contourlines as a separate download. I am trying to upload my maps to my Fenix 5 plus. I do get an authentication error. Instead of deletign and re-installing the non unicode maps, could I just use what I have and ignore that error? If so, what will happen (names displayed incorrectly or totally corrupted file?)? Thanks! The unicode maps will not show at all. You need to overwrite on Mac/PC the unicode map with a non unicode map – then best delete the old map from Fenix 5 plus, and resend the new map. Vielen Dank für die viele Mühe und die tollen Karten!! Eine Bitte hätte ich: Könntest Du bitte bei Andorra bei Gelegenheit den Kartenschnitt überprüfen? Normalerweise reichen die Karten bis knapp über die Grenzlinie, so das bei zwei angrenzenden Ländern keine Lücke entsteht. Die Andorra-Karte hört jedoch vor allem im Süden bei der Grenze zu Spanien schon einiges vor der Grenzlinie auf, soweit innerhalb, dass die Überlappung von Spanien das leider nicht auffängt und einige „blinde Flecken“ entstehen. Ansonsten – nimm die Europakarte und schneide dir da dein Extrakt aus. nach der Installation von mtbus-pacific.exe mit us-pacific_contours.7z in Basecamp fehlen in der Mitte von Big Island (Hawaii) die Höhenlinien. Ich vermute da fehlen Kacheln in der Contours-Datei. Wenn man das beheben kann wäre ich sehr dankbar. Ansonsten vielen Dank für die hervorragende Arbeit! Ich schaue dass ich das behebe – wird aber ein paar Tage dauern. Ich hatte nicht genug Speicherplatz am Server um alle Daten aufzubewahren. Solche Fehler sind ein paar passiert – den muss ich übersehen haben (ist leider nie einfach rauszubekommen woran es liegt). So – nun ist es korrigiert. In 10Minuten sollten die neuen Höhenlinien und neue Karten online sein (Karte und Höhenlinien werden neu benötigt!). Are the individual, non-premium maps the same as the continent maps – ie., if I download a map for a continent, does it include the same data as the maps for the individual countries combined, or are the individual maps more detailed? Also, there are contour lines for australia and for australia&oceania. Is australia just a subset of a&o? Yes – they are the same. Except sometimes on smaller maps – the resolution of the DEM and contourlines is a little higher. I am attaching other 2 images with the points extracted from today’s track, where my gps crashes constantly and in some cases I have to remove the batteries to restart the device. The problem does not occur if I load other osm maps, or if I remove all the maps from the GPS. This problem is very annoying and forces me to not be able to use your maps. I also tried to install the map without the level curves, but the problem remains. The map used is Europe Non Unicode and I also tried the Map of Italy that you download for free. Hi Gianluca – I had a look at that place – I guess the super short highway=steps in the middle of that broken section most likely cause it. Did the other maps you try also route via the highway=steps? usually road sections should be minimum ~5m long for garmin devices – however there some sections are like 1-2m long only. I will see if i can do something there. Hello. In these points we pass very often and only with the openmtbmap we encounter problems. I tried the free Italy version and also the non-unicode Europe version. These are paths that can be traveled on foot or by bike. They are not highways. I know – but the problem here is a supermicro mapping – it’s not customary in openstreetmap to add a highway=steps steps_count=1 to a footway. Footways often have steps – so those super short ways create problems. Garmin can only have ways over ~5.4m in length – now you cannot throw away those ways because that would break routing too – so the map compiler tries to make them longer – in this case with my style creating a map that crashes the device. I’m in contact with the developes of mkgmap to see if a solution can be found. Otherwise I have to say – I cannot fix it – because I will break routing in other places. I do not want to meddle with the osm data itself here – as it’s not technically fully incorrect – even though a single step should actually not be longer than 30-40cm – however is like 1-2m in the database. Creating such implied but properly incorrect micromapping causes problems for routable maps. Ja, im Basecamp wird die aktuelle Karte korrekt angezeigt. Ich habe zwischenzeitlich eine alte Kartenversion (ca. Anfang 2016) installiert. Da tritt der Fehler nicht auf (habe noch keine Karten am Gerät deaktiviert). Ich nehme an, damit ist das Thema “leere Kachel” nicht die mögliche Ursache, oder? Okay – dass ist komisch. Nimm stattdessen einfach die Deutschlandkarte statt auf so eine alte Version zurückzugreifen. Das Überlappen kann natürlich nur passieren wenn du noch anderen Karten am Gerät installiert hast. Ist nur eine Karte aktiviert kann auch nichts überlappen. Dass die alte Karte nicht überlappt wird, die neue schon ist aber prinzipiell möglich – aber halt nur wenn noch andere Karten aktiviert sind. Ich nehm an – in Basecamp wird die Karte korrekt angezeigt? Dann deaktiviere mal alle anderen Karten auf deinem Gerät – ich nehm an du hast ein weiteres Bundesland/Land und von dort ragt eine leere Kachel rein die deine BW Karte überlagert.